Times may have changed since Twain’s day, but Boston maintains an intellectual air thanks to its assortment of premier universities – including Harvard, MIT and Tufts – and its abundance of tech companies. The constant influx of students and academics make it an international, cosmopolitan city with unrivaled brainpower. It boasts a vibrant mélange of historical landmarks, museums, sporting events, arts and cultural happenings, and culinary breakouts. Built along the Atlantic Ocean and the Charles River, its miles of parks and green space, known as the Emerald Necklace, are still alive with natives and visitors alike thanks to so-far temperate fall weather. Then once the air turns crisp and the trees become gilded in majestic red and gold, Boston becomes a top-shelf autumn destination. 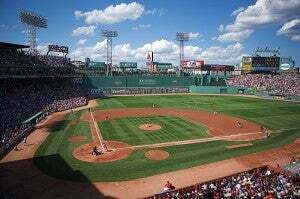 Spend a day at the Fenway Park watching the Red Sox play. 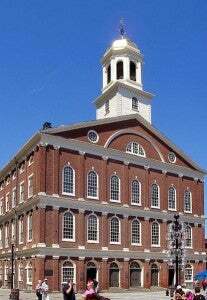 Anyone who didn’t doze their way through U.S. history knows that Boston was the site of several key events during the American Revolution, including the Boston Tea Party and Paul Revere’s ride. 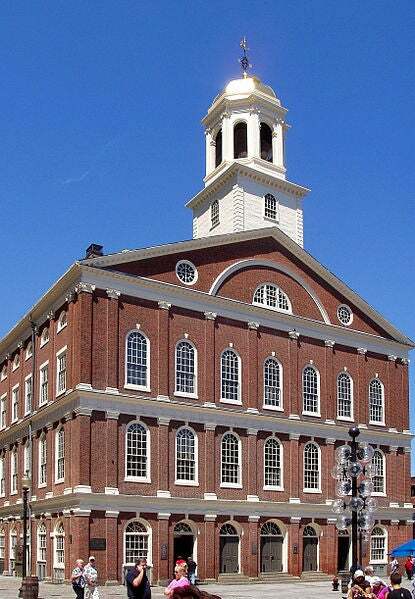 It’s easy to visit all of the city’s important landmarks thanks to theFreedom Trail, a 2.5-mile long brick-marked path that runs along sidewalks downtown, hitting sixteen historical highlights. Several groups offer tours, including those helmed by guides in period costumes. Or make a leisurely day of it bydownloading a free map and strolling the trail with plenty of stops for snacks and shopping along the way. The trail commences atBoston Common, America’s oldest park, which offers nearly 50 acres of land where students lounge and families skate on a rink laid out each winter. Visible above the Common is the gold-domed Massachusetts State House. The trail terminates in the North End, the city’s vibrant Italian neighborhood, which is home to thePaul Revere House, featuring reenactments and demonstrations of Colonial crafts. The area’s narrow, winding streets are redolent of garlic and olive oil from the many restaurants that are interspersed with specialty food stores and bakeries. It borders Boston Harbor, where it’s possible to catch a variety of boat tours, including those devoted to whale watching, lighthouse tours and the historic naval vessel the USS Constitution. Also on the waterfront, TheNew England Aquariumoffers a chance to get up close and personal with the region’s aquatic inhabitants, from lobsters to whales, plus an IMAX theater. 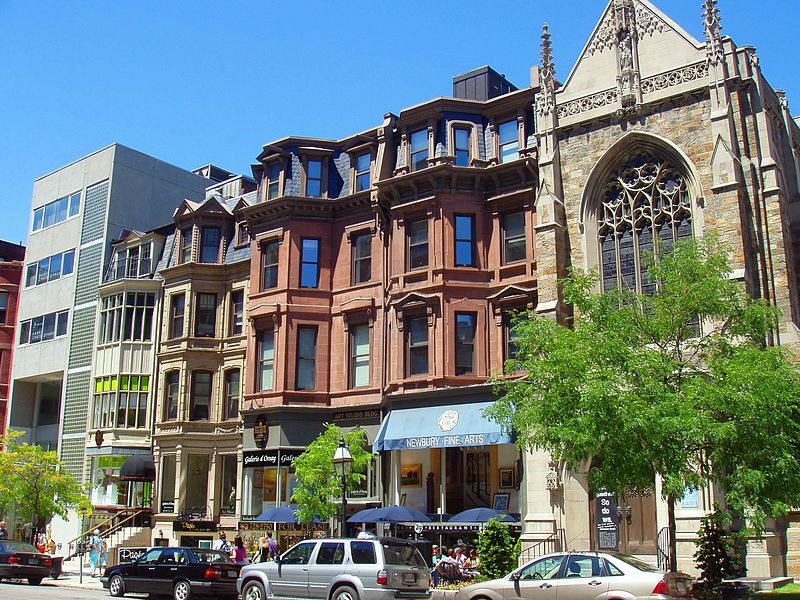 Newbury Street is a great spot for shopping and restaurants. Bustling Newbury Street is a popular destination for shopping and outdoor dining that ends at the Public Garden, a beautifully landscaped gem near the Boston Common. In springtime, this area becomes a boisterous destination for watching the Boston Marathon, one of the country’s oldest and most prestigious races, always held the third Monday of April. 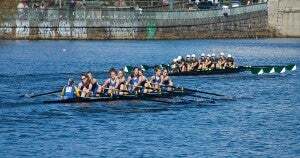 Another popular outdoor sporting event is the annual Head of the Charles Regatta, the world’s largest two-day rowing event, which will be held October 20-21, 2012. 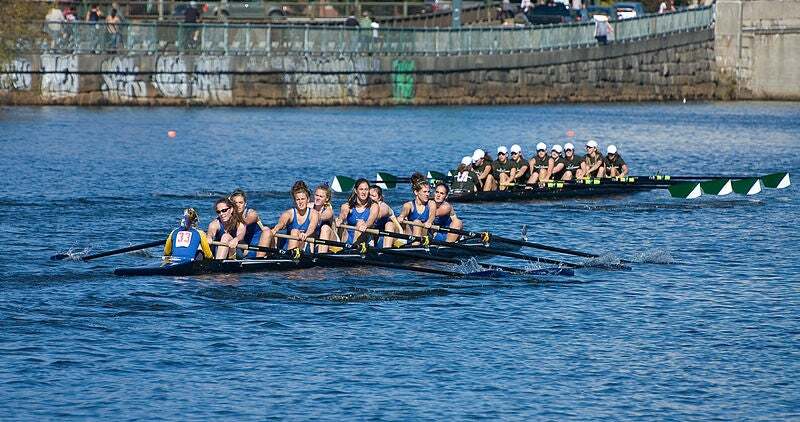 Teams compete in the Head of Charles Regatta. Travelers with more of anartisticbent will appreciate theMuseum of Fine Arts Boston, which boasts one of the largest collections of Monets outside of Paris. Plus, pop culture-influenced temporary exhibitions, including this fall’s show of photographs by fashion icon Mario Testino, which opens October 21 and runs through February 2013. The nearbyIsabella Stewart Gardner Museumis a unique showcase for art built around the personal collection of its namesake, who aimed to create a gallery that was vibrant and full of flowers, unlike the stiff, sterile museums of her day. For those on a contemporary art kick, the newly erectedInstitute of Contemporary Art/Boston building is a magnificent glass-faced edifice that juts out over the harbor, offering seaside views as stunning as the art inside. 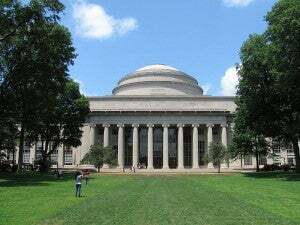 Hang with the brainiacs at MIT in Cambridge. While it’s technically a separate city, Cambridge is just across the Charles River from Boston and is home to MIT and Harvard as well as a bustling contemporary theater and music scene. It is easily accessible via the city’s user-friendly public transportation,the T, on which adult fares start at $2, and which includes four color-coded routes. A pleasant afternoon can be had strolling through Harvard Yard and then visiting the many shops and restaurants that have grown up in the neighborhood surrounding the college, known as Harvard Square. As fordining, Boston offers abundant culinary options for those in search of a classic seafood meal, and those who seek something a little (or a lot) more contemporary and cutting edge. The classicists will want to hit longtime staples likeThe Barking Crab orThe Atlantic Fish Companyfor chowder and steamed or fried clams. In the past two decades, Boston has made a name for itself as a foodie hotspot with celebrated chefs including Todd English and his protégé Barbara Lynch, whose empire includes seven outlets. Recent additions to the scene include Michael Schlow’s upscale Nuevo Mexican eatery,Tico, which boasts sophisticated but unpretentious takes on tacos and mac ‘n cheese, plus plenty of seafood; Bravo’sTop Chef Masters-alum, Jody Adams, whose waterfront spotTrade offers a casual international menu with a special Mediterranean focus and dressed-up classics, like grilled whole lobster with peaches, three bean salad and hazelnuts;Bondirin Cambridge, which features a new daily menu packed with inspired seasonal regional fare, including the likes of beef striploin with yarrow and foie gras; andTop Chefveteran Tiffani Faison’s BBQ jointSweet Cheeks, which has drawn Jay-Z and Kanye West to sample its hush puppies and pork belly. Faneuil Hall Marketplace is a popular attraction for visitors. Also on the rise has been a local dedication to classic cocktails.The Hawthornein the Hotel Commonwealth was recently named one of best new bars in America by CNN’s food blog, Eatrocacy, helmed byFood & Wine’s Kate Krader, thanks to its vintage Russian vodka chiller and craft cocktails like the Belle de Jour and the Hanky Panky. Whatever your interest, there are tons of attractions in Boston to keep you occupied over the course of a trip as short as a day or as long as a month. Destination of the Week pieces are not meant to be comprehensive guides to destinations since we don’t have the time or funds to visit all these places in person and report back to you. Nor are they endorsements of all the hotels we mention. They are simply roundups of top destinations that we have specifically pinpointed for the opportunity they present to use your miles and points to get to and stay there. As always, we welcome your comments to help enrich the content here, provide opinions and first-hand experiences of these. Boston Logan International Airport serves around 28 million passengers annually. More than 40 airlines offer nonstop flights to more than 100 domestic and international destinations. It is not a hub for any airlines other than the regional airline Cape Air, but it is a focus city for Jet Blue, which operates the most flights out of the airport. The airline’s most popular domestic routes are to Chicago, served by American, JetBlue, Spirit and United; Atlanta, served by Delta and AirTran; and Washington D.C., served by JetBlue and US Airways. Logan is located in East Boston and is on Boston’s public transportation system, the T. The Blue Line takes passengers to the waterfront, with connections throughout the city. The Silver Line takes passengers to South Station, where buses and trains are available, as well as a connection to the Red Line to Cambridge. The fair is $2.50 There is also a commuter boat available between Logan and Boston’s Long Wharf for $3-$8. A cab between Logan and downtown Boston averages around $15-$20. Other nearby airports areManchester Boston Region Airport in Manchester, New Hampshire, less than 50 miles north of Boston, andT.F. Green International Airportin Warwick, Rhode Island, located 51 miles from Boston. 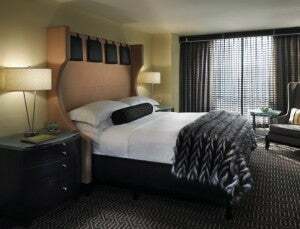 A King guest room at The Revere. The old Radisson Boston is no more, having undergone a $27 million renovation by its new owners Northwood Hospitality, and then opening as boutique hotel theRevere earlier this year. The nearest Carlson properties are theCountry Inn & Suites in nearby Brockton and theRadisson Hotel & Suites Chelmsford-Lowell, which is 30 miles from downtown Boston. 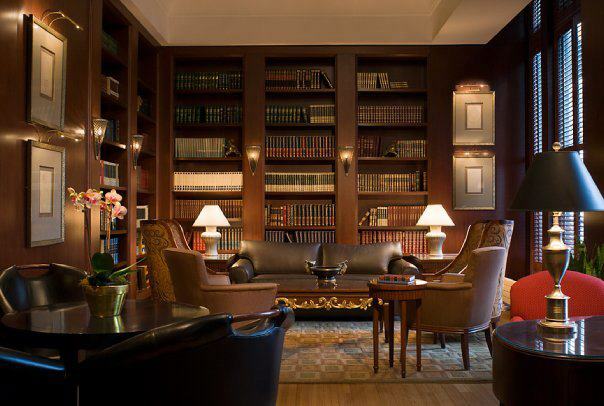 Library at the Hilton Boston Downtown/Financial District. Hilton Downtown/Financial District: Primarily of interest to business travelers, this hotel is in the heart of downtown Boston, about a block from the waterfront, and about a mile from the Convention Center. Rooms here have king or double beds, large work desks with ergonomic chairs, 42-inch flatscreens, high ceilings with crown moldings and marble bathrooms. The signature restaurant is the newly redone Nix Mate (part of it was built from reclaimed wood from the Boston Pier), which serves an all-day menu of modern American dishes.This is a Category 7 property requiring 50,000 points for a free night. Rates in October start at $399. Double guest room at the Hilton Boston Back Bay. 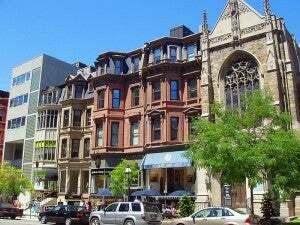 Hilton Boston Back Bay: This Category 7 property is located in the picturesque Back Bay neighborhood with its famous brownstones. The glass-front building houses 390 guestrooms on 26 floors, and the top ones have great views of downtown Boston, Fenway Park and the Charles River. Rooms start at 300 square feet and have king or double Hilton Serenity Beds, flatscreen LCD HDTV’s, work desks with ergonomic chairs, Lavazza coffeemakers, and marble-topped wooden vanities in the bathroom. Its restaurant, Forty Dalton, serves New England-style cuisine using fresh, seasonal ingredients.Room awards require 50,000 points for a free night. Rates start at $454 in October. Exterior of the Hyatt Regency Boston. Hyatt Regency Boston: Right in the heart of the financial district, the Hyatt Regency is connected to the huge Macy’s store and is on the same block as a T station, making getting around from here very easy. The hotel has 498 guest rooms including 19 suites, each with Hyatt Grand Beds, 37-inch flatscreen TV’s, iHome clock radios and high-speed internet access. The hotel has a 24-hour fitness center, a heated indoor pool, and can provide spa services upon request. The main restaurant is Avenue One, which has a dining room, bar, lounge and to-go sections.This is a Category 4 property requiring 15,000 points for award nights. Rooms rate start at $320 in October. 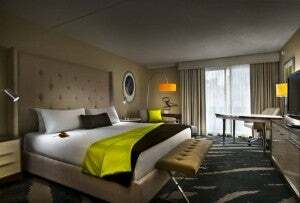 There is also aHyatt Regency Cambridgeoverlooking Boston from the other side of the Charles, theHyatt Harborsideat Logan Airport, and a Hyatt Place and two Hyatt Houses in surrounding towns. 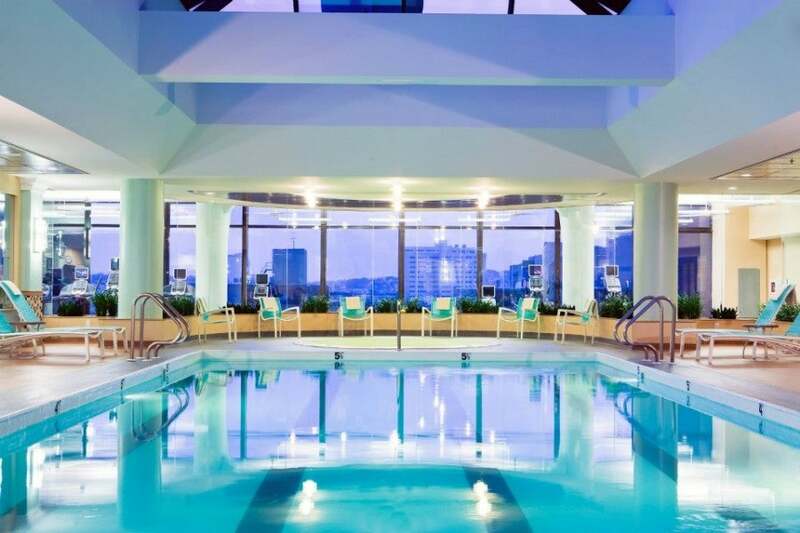 Take a dip in the indoor pool at the Boston Marriott Copley Place. 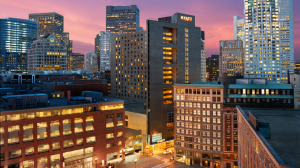 Boston Marriott Copley Place: Centrally located near Boston Common and Newbury Street’s shops, as well as historic sites like Trinity Church, this enormous hotel has 1,101 rooms and 47 suites. It has a pool and whirlpool, and the health club offers massages. Room service is available 24 hours a day and the Concierge Level offers a private lounge. Dining options include the sports bar Champions and the Connexion Lounge, which serves lunch and dinner.Rates in October begin at $499. This is a Marriott RewardsCategory 7 property and requires 35,000 points (30,000 with PointSavers)for a free-night redemption. The Boston Marriott Long Wharf features a renovated lobby. 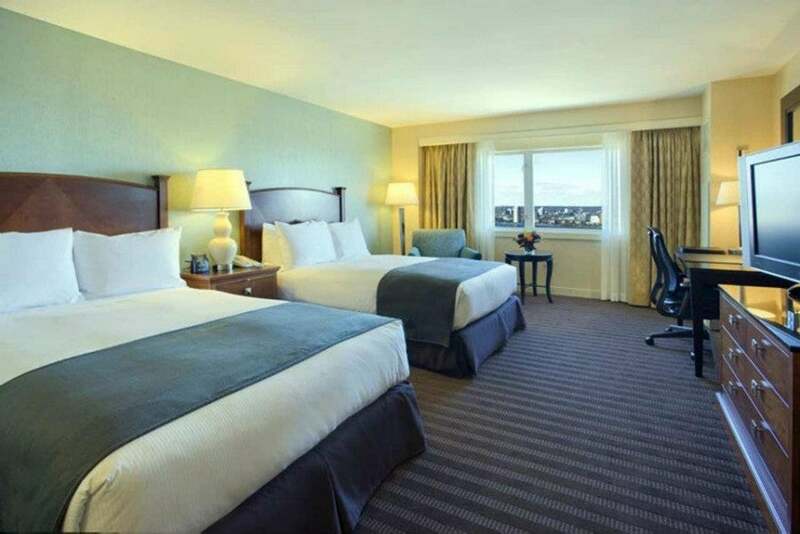 Boston Marriott Long Wharf: Boasting harbor views, this hotel has 397 rooms and 15 suites, including 10 Pure allergy-friendly rooms. Guests can enjoy a concierge level, as well as 24-hour access to workout facilities, a pool and whirlpool. The Waterline restaurant offers small plates and bites to be shared along with a bracing ocean view.Rates in October begin at $579. This is a Marriott RewardsCategory 8 property and requires 40,000 points (35,000 with PointSavers)for a free-night redemption. City View room at the Ritz-Carlton Boston. The Ritz-Carlton, Boston Common: This luxury property underwent an $11 million renovation back in 2008. It has just 150 guestrooms and 43 suites. Rooms start at a spacious 425 square feet and include sumptuous king or double beds, 37-inch flatscreen televisions, high-speed internet access, twice-daily housekeeping service and large bathrooms with separate showers and marble soaking tubs. Club level rooms come with access to the Club Lounge for complimentary daily breakfast, snacks, hors d’oeuvres, beverages and desserts throughout the day as well as dedicated concierge service. Hotel guests have access to the adjacent 100,000-square-foot The SportsClub/LA fitness center. The hotel’s recently restyled Avery Bar takes its inspiration from the classic cocktails of Prohibition-era and 1950′s America, while the newly opened Artisan Bistro provides healthy, seasonal fare in a casual and lively atmosphere.This is a Tier 3 property requiring 50,000 points for a free night. Rates in October start at $525. 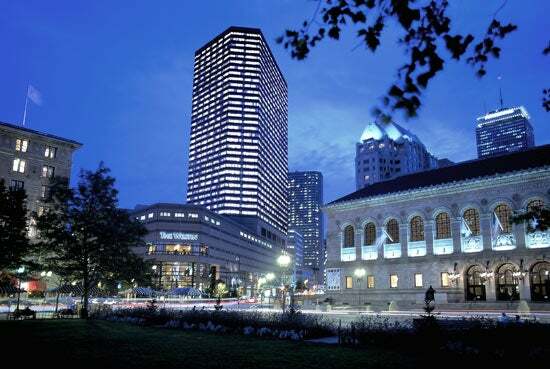 The InterContinental Boston is close to the city’s historical landmarks. 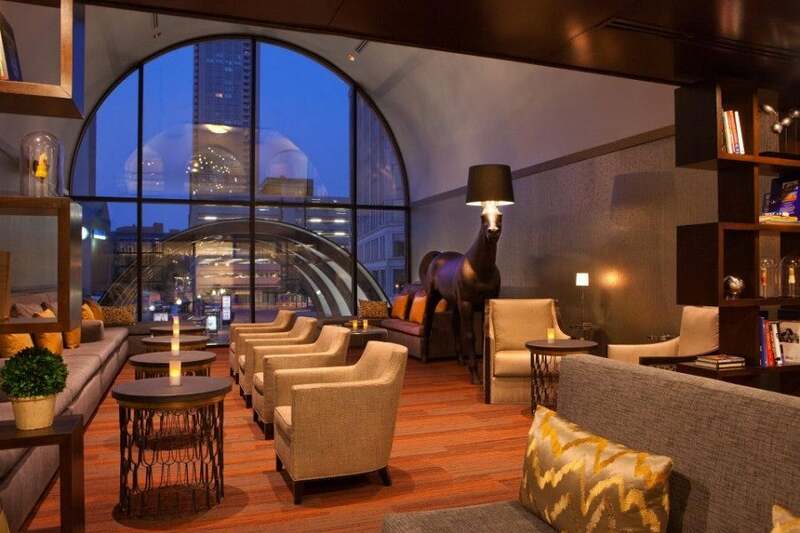 InterContinental Boston: A 4-Diamond AAA-rated luxury hotel on Boston’s waterfront, this hotel pairs sleek, modern design with a convenient proximity to historical landmarks including the North End and the Boston Tea Party Museum. Guests enjoy the perks that come with a Concierge Team and Business Center. The hotel has 424 guestrooms and 38 suites. The Club InterContinental Lounge includes complimentary wireless Internet, an 8-person boardroom, plus breakfast, tea and coffee, evening deserts and cocktails. The spa boasts massages and facials, and there is a 24-hour health club, lap pool and steam rooms. International dining options include the Provence-themed Miel “Brasserie Provencale,” and Sushi-Teq, which blends a menu of sushi with a tequila-based cocktail list. Plus RumBa, which pairs Caribbean music and rum cocktails.Rates in October begin at $399 or 50,000 points. Other Priority Club options includeHoliday Inn Boston at Beacon Hill, which starts at$327 per night in October, or 25,000 Priority Club points. Exterior of the Westin Copley Place Boston Hotel. 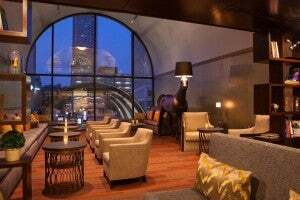 The Westin Copley Place, Boston: This hotel also received the AAA 4-Diamond Award and is located in the city’s chic Back Bay area, convenient to Hynes Convention Center and shopping on Newbury Street and at the Copley Mall. It has 803 rooms, 132 junior suites and 10 specialty suites, all of which include the Heavenly Bed and Heavenly Bath. The Grettacole Spa features massages, facials and herbal wraps, while the Westin Kids Club offers little travelers coloring books, bath toys and an over-the-phone bedtime story service. Start the day with breakfast in the Huntington’s sunny dining room or kick things up a notch in the evening with dinner at Osushi or a signature martini at Bar 10, voted one of the city’s best bars byBostonmagazine. Rates in October begin at $489. This is a SPG Category 5 property, requiring 12,000 to 16,000 SPG points for a free night. The W Boston features swanky guest rooms. In the city’s theater district, there is also the dramatically modern 235-roomW Boston. This is anSPG Category 5 hotel requiring 12,000 SPG points for a free night redemption. Rates in October start at $413 per night. A Back Bay Double room at the Mandarin Oriental in Boston. 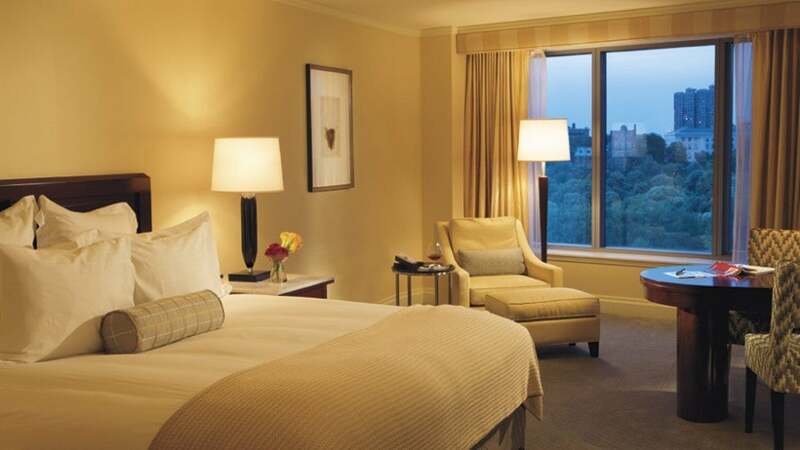 Mandarin Oriental, Boston: This property has 136 guest rooms and 12 spacious suites, with Art Deco design accents and amenities like luxury linens and plush bathrobes by Frette and an interactive entertainment system that allows integration of iPod or MP3 player. Guests have access to the only Forbes Five-star awarded spa in the state, including a fitness center,hydrotherapy room and separate male and female heat and water facilities. Dining choices include Asana, serving contemporary American cuisine, the M Bar & Lounge, and the healthy Spa Café.Rates in October start at $545 a night. 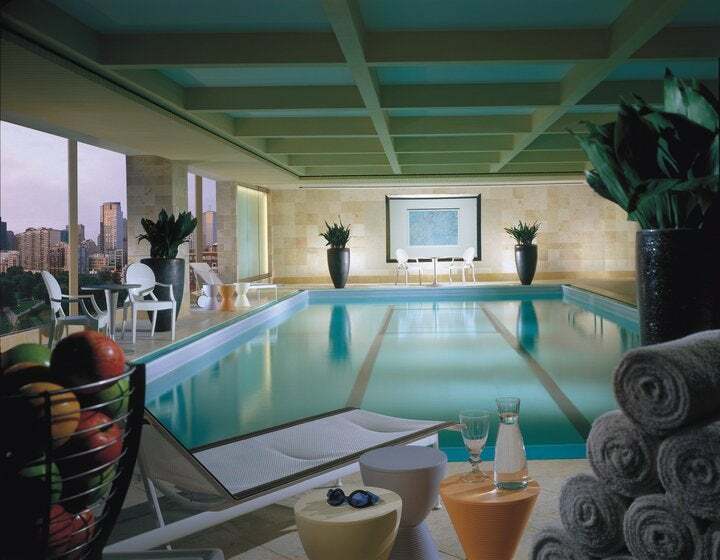 Guests have use of the 8th floor swimming pool at the Four Seasons Boston overlooking the city. Four Seasons Hotel Boston: Overlooking the city’s historic Public Garden, this luxury hotel includes 273 guest rooms and 77 suites, many with views. Amenities include wifi and marble bathrooms. Guests have access to a 44-foot indoor pool and whirlpool overlooking the Public Garden and a fitness center with sauna and steam rooms. Massages are available both in the spa and guest rooms and suites. Dining options include the Bristol Lounge, known for its signature burger, and 24-hour in-room dining.Rates in October start at $525 a night. Other Boston Fine Hotels & Resorts include Boston Harbor Hotel at Rowes Wharf; The Liberty, A Luxury Collection Hotel, Boston; The Ritz-Carlton, Boston Common; Fifteen Beacon. When cardholders use a Visa Signature credit card to book a room through the Visa Signature Hotels program, they are eligible to receive extra perks such as discounted room rates, room upgrades, free breakfast, early check-in and late check-out, dining and spa credits and more. Visa Signature cards include the Chase Sapphire Preferred, Chase Sapphire, British Airways Visa, the Hyatt card, the Marriott Rewards Premier and Marriott Rewards cards, the Southwest Plus card, Bank of America’s Alaska Airlines and Hawaiian Airlines cards,Capital One Venture, Citi Hilton HHonors and Citi Hilton HHonors Reserve, US Bank FlexPerks, Citi AAdvantage Visa Signature, and many more, so chances are you’re carrying at least one of them in your wallet. King guest room at the Nine Zero. Nine Zero Hotel: This boutique hotel’s rooms include European linens, animal print bathrobes, deluxe desks stockedwith post cards, and Etro bath amenities. Overlooking Boston Common, nearby the city’s theater district and Freedom Trail, the pet-friendly hotel has hosted everyone from Lady Gaga to President Obama and offers eco-friendly in-room spa services, a complimentary evening wine reception and a 24-hour fitness center with yoga mats.Rates in October start at $359.10.It is a Kimpton Hotel and part of their Loyalty Program. 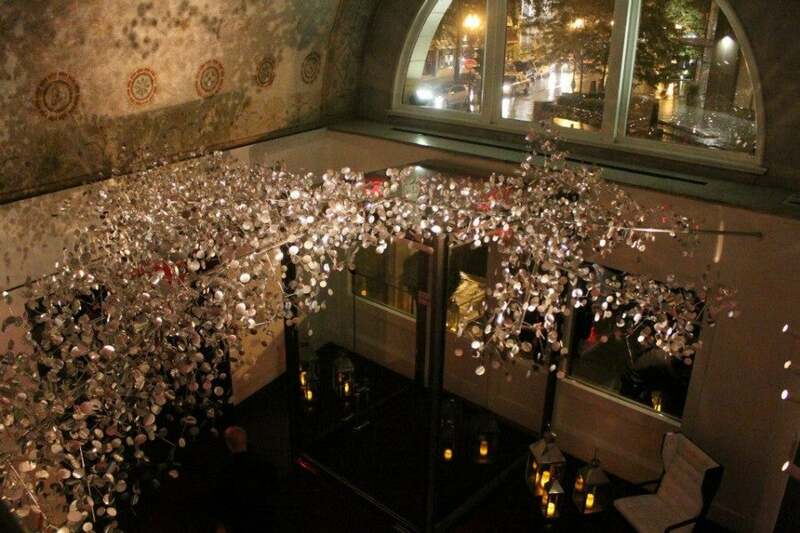 The lobby ceiling features original mosaic tiles at the Ames Boston. Ames Boston: Located in a historic building that was the city’s first skyscraper, this luxury hotel includes 114 rooms with Romanesque windows and original fireplaces. Amenities include flat screen HDTVs, iPod docking stations and WiFi. Guests have access to the fitness center and complimentary bicycles, available on a first come, first serve basis. The hotel’s restaurant, Woodward, offers a menu of composed plates featuring New England ingredients meant to be paired with hand-crafted cocktails. All guests receive a complimentary European continental breakfast.Rates in October start at $399. Other Visa Signature properties in Boston include The Fairmont Copley Plaza, Boston; XV Beacon; The Eliot Hotel; Mandarin Oriental, Boston; Boston Harbor Hotel; Liberty Hotel; Fairmont Battery Wharf.